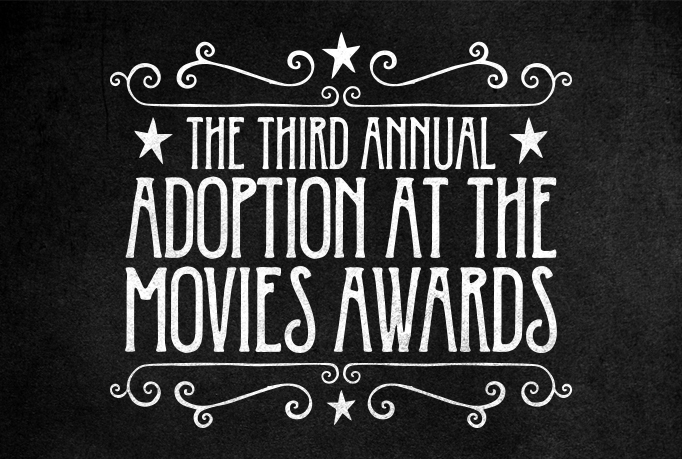 Welcome to the Third Annual Adoption at the Movies Awards! As mainstream Hollywood gets ready for the big awards later this week, the readers of Adoption at the Movies voted to honor the films that were entertaining, uplifting, and adoption-friendly. Last year’s biggest awards went to Disney’s Big Hero 6. Which films will be honored this year? Read on! 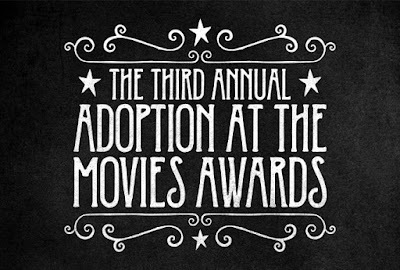 Also – you might want to check out the First Annual Adoption at the Movies Awards and the Second Annual Adoption at the Movies Awards! And, check out our great new store with a few products that celebrate the love that makes a family, a family. And now – it’s time to find out this year’s winners! For better or worse, fictional characters can become like friends to us, and to the kids in our lives. They entertain us, sure, but they’ve also helped us to entertain ourselves as they’ve lived in our imaginations. And they inspire us; how many scientists and engineers have acknowledged a debt to Star Trek? How many young girls have fallen in love with – and pictured themselves as – Elsa or Anna? Adoption at the Movies honors these nominees who have given us – or our kids – someone worth looking up to! 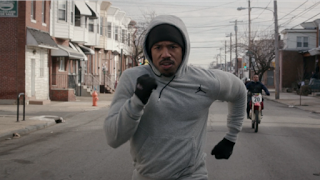 ADONIS JOHNSON from Creed… Promising boxer Adonis Johnson struggled mightily to develop his identity, incorporating what he learns about a father he never knew. CHARLIE BROWN from The Peanuts Movie… Loveable perennial loser Charlie Brown shines in The Peanuts Movie, is honest and brave, and consistently does the right thing – even though it pains him, and even though he fears it will cost him esteem in the eyes of the long-admired Little Red Haired Girl. 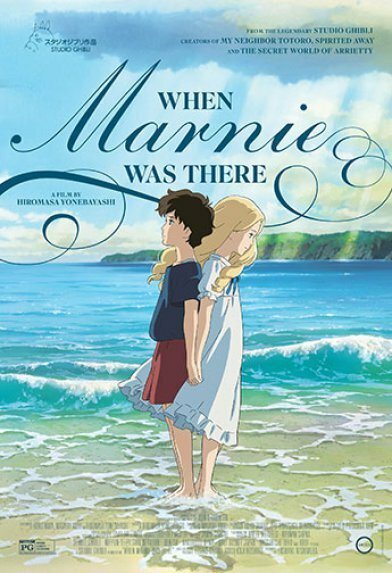 ANNA SASAKI from When Marnie Was There… Twelve-year-old foster child Anna has been feeling ill since she secretly learned that her foster parents receive money from the government for being foster parents. Sent to spend the summer with rural relatives of her foster family, Anna learns about her own history, finds the courage to talk to her foster mother about what’s bothering her, and ultimately finds healing and the ability to accept and embrace her life as it is. 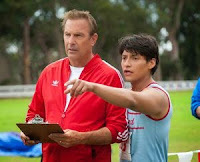 JIM WHITE from McFarland USA… Disgraced high school football coach Jim White travels to a farming community. He establishes a cross-country team, and encourages his runners to dream big dreams. Jim gets his life on track by investing in his newfound community, and he inspires his teens to great things. 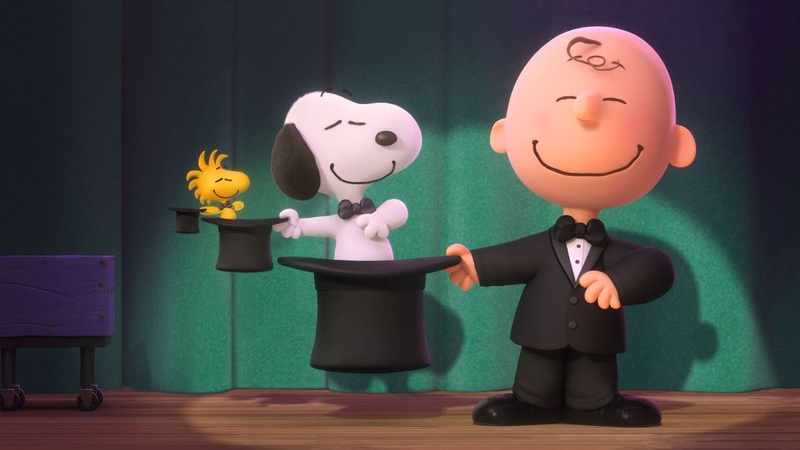 And the winner for Best Role Model, as voted by the readers of Adoption at the Movies, is Charlie Brown, from the Peanuts Movie. Adoptive and foster families have shown up with surprising frequency in recent movies. Real-life adoptive and foster families are often nervous when a film presents adoption – will it be treated fairly and positively, or will the film fall on negative stereotypes? The readers of Adoption at the Movies honor these cinematic adoptive and foster families that captured the love that makes an adoptive or foster family a good place to grow up. 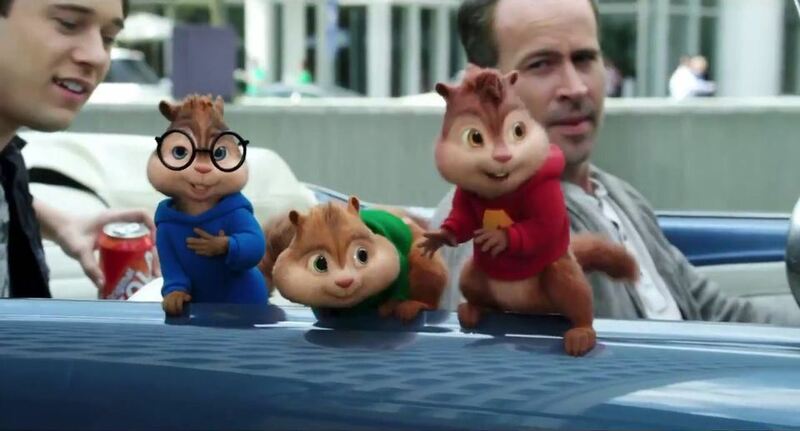 DAVE SEVILLE, ALVIN, SIMON, and THEODORE from Alvin and the Chipmunks: The Road Chip… After years and years, Dave finally makes a permanent, lifelong commitment to Alvin, Simon, and Theodore – and his decision is made out of a motivation to meet the boys’ needs for a sense of permanency! MARY ANNE CREED and ADONIS JOHNSON from Creed… Mary Anne finds Adonis in a hard place. Adonis was the product of an affair that Mary Anne’s husband had, years ago. Now widowed, Mary Anne has sought out Adonis, and has become his family. 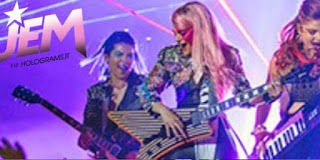 AUNT BAILEY, JERRICA, KIMBER, AJA and SHANA from Jem and the Holograms… After they've lost their parents, Aunt Bailey brings her two nieces into her home, where they become family with Bailey and her two foster daughters. The four girls stick together through some very big adventures that center around Jerrica as she becomes a rock star, and as she tries to figure out what she believes is a message from her dad. YORIKO and ANNA SASAKI from When Marnie Was There… This foster family struggles to discuss an uncomfortable aspect of foster care, but find that when they do discuss it, the truth brings healing. All long the way, the love of Yoriko for Anna – and vice versa – is very evident! We have a tie in this category! And the winners for Best Adoptive or Foster Family, as voted by the readers of Adoption at the Movies, are Mary Anne Creed and Adonis Johnson from Creed, and Dave Seville, Alvin, Simon, and Theodore from The Chipmunks Movie: Road Chip. The strongest adoptive and foster parents are those who understand both the universal need of kids to be loved and nurtured, and the specific, unique aspects of parenting in a foster or adoptive situation. Adoption at the Movies honors these particularly positive foster and adoptive parents. DAVE SEVILLE from Alvin and the Chipmunks: The Road Chip… Unbeknownst to Dave, his boys have worried that he will replace them and send them away. When Dave realizes that they are afraid of this, Dave makes a bold, permanent commitment to them; his actions are motivated by their need for permanency. 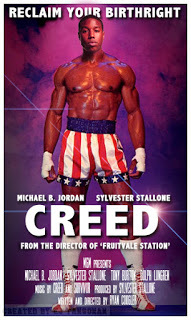 MARY ANNE CREED from Creed… Mary Anne sought out Adonis, and found him in a hard place. She brings Adonis into her home, life, and heart, and is not scared away by his negative behaviors. She empathizes with his deep sense of loss, saying “I’ve lost too.” As Adonis grows into a young adult, Mary Anne is a mother to him, taking pride his successes and being pained by his poor and dangerous choices. Her love for him never waivers. YORIKO from When Marnie Was There… Yoriko is a devoted foster mother who has cared for Anna for many years. She considers Anna to be a daughter, and when Anna comes ill, Yoriko sends Anna to some of Yoriko’s own extended family members who live in a village believed to promote health. 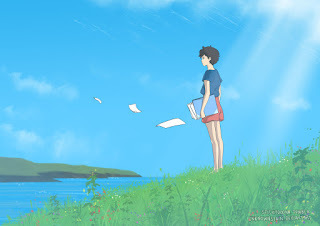 Yoriko is sensitive to Anna’s feelings, and although this sensitivity initially drives Yoriko towards secrecy regarding some aspects of Anna’s foster care experience, Yoriko learns that the truth, shared in love, is what Anna most needed. 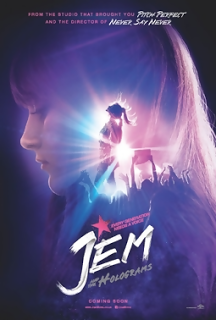 AUNT BAILEY from Jem and the Holograms… Aunt Bailey has created a thriving family out of her nieces, who have just lost their parents, and her two long-term teenage foster daughters. Bailey has enabled the teens to follow their dreams, and she refuses to allow her own stressors to become burdens to her teens. And the winner for Best Adoptive or Foster Parent, as voted by the readers of Adoption at the Movies, is Mary Anne Creed from Creed. Some excellent, insightful films were made this year that didn’t spend time at the box office. These three films, all under forty minutes, provide powerful windows into the experience of foster care and adoption. TWO SECRETS, directed by Charles F. Dye… Based on the real-life story of Ali Dolan, Two Secrets follows twelve-year-old Janey. When a school assignment requires Janey to map out her relatives on a family tree she is troubled; she knows that she is adopted, and does not know anything about her birth parents. She confronts her parents for answers, and eventually gets them. Her second secret also ties in to the film’s strong exploration of identity issues, which can be so important to people who have been adopted. REMEMBER MY STORY, directed by Tony Cruz and Nathanael Matanick… This film is the sequel to the very popular short foster care film ReMoved. 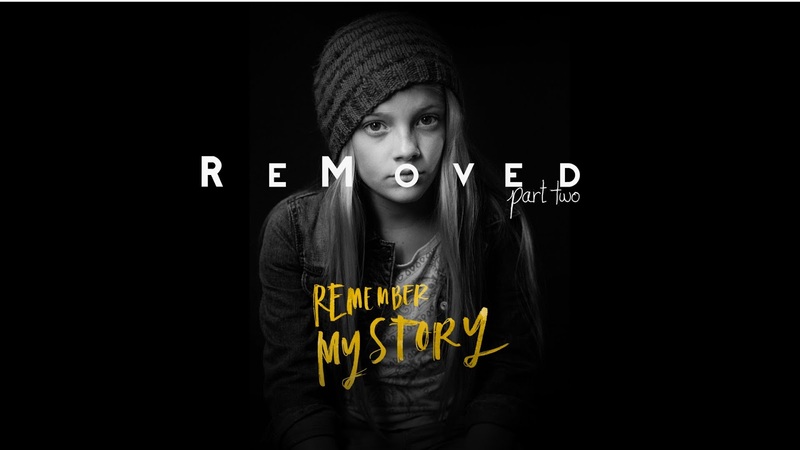 Remember My Story rejoins Zoe, a young girl who has come into foster care because of domestic violence. She is doing well in the home of her foster mother, and loves being able to share a home with her infant brother Beniah. Zoe’s mother continues to go through the court process, and a judge has to make decisions that will impact Zoe, Beniah, and the people that love them. In an epilogue, an adult Zoe uses her experiences to touch the life of another child in a similar situation. 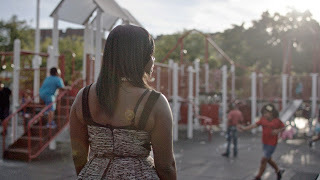 FEELING WANTED, directed by Yasmin Mistry… In Feeling Wanted, Charrel Star Charleston narrates her own journey into and through foster care. She was left home alone, left with a great grandmother, and eventually taken into foster care. Charleston shares honestly about the abuse she suffered in care, the social anxiety caused by the fear of her classmates discovering that she was in foster care, and the insensitive ways that social workers handled her moves from foster home to foster home. Charleston also remembers, tearfully and gratefully, a small act of kindness done by a typically-mean foster sister. As an adult, she reflects on her continual process of forgiving her parents for what she experienced. And the winner for Best Short Film, as voted by the readers of Adoption at the Movies, is Two Secrets, directed by Charles F. Dye. This year’s adoption- and foster-care-related documentaries brought us a journey of discovery, an exposition of the importance of original birth certificates, an inside look at the foster care system and an introduction to a man’s lifework of serving kids with special needs. These true-life stories introduced aspects of adoption and foster care to the world at large. 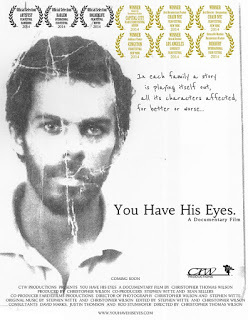 YOU HAVE HIS EYES, directed by Christopher Thomas Wilson… Throughout his childhood, Christopher Wilson had only one letter from his birthmother Neomi. The letter was heartfelt and honest, and in it, she expressed her mixed feelings, her fear that she would never see him again, and her contentment and gratefulness to know that he is safe. Neomi had hoped to receive regular updates about Christopher’s life, but shortly after his adoption, the agency that facilitated his adoption and that was to facilitate the ongoing contact was forced to close. Christopher and his birthmother were lost to each other. In 2010, Christopher’s family worked to track down his birthmother, and two years later, he moved in with her for a season. There, he learned some of her history, some about his birthfather Lionel, and the way in which he came to be adopted. Christopher then decided to seek for Lionel. Although he has found some of his relatives, Lionel hasn’t been heard from in over a decade. Christopher hires a private investigator and sets out, camera in hand, to find Lionel. A lot of love is portrayed in this film. Christopher’s love for all of his parents is persistent. His adoptive parents support him in his attempts to find his birthparents, and his adoptive father speaks glowingly of Christopher, telling him how very proud he is. Like Angela in Closure, Christopher sets out looking for one relative, but finds a whole family. TOUGH LOVE, directed by Stephanie Wang-Breal… This compassionate, well-rounded introduction to several perspectives of the foster care system follows several stories. A mother has had her children taken into foster care and is trying to avoid having her newborn also removed. 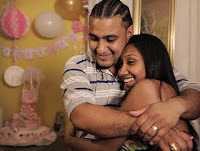 A father’s daughter has been in foster care for over a year while he tries to reunify with her. Along with their stories, we hear from the foster parents who care for the children, the court-appointed volunteers who advocate for them, social workers and judges. Tough Love captures the facts of foster care as well as the emotional nuances and is a realistic but optimistic portrayal of what it can look like when the foster care systems works as it is intended to. A SIMPLE PIECE OF PAPER, directed by Jean Strauss… “What if you were adopted, and could never see the record of your own birth? What would it feel like if your state finally let you have this simple piece of paper?” Jean Strauss invites us into the stories of several adults – some in their thirties, some middle-aged, and some senior citizens, who receive their birth certificates for the first time. Some move beyond information to find reunion. A Simple Piece of Paper connects us with the real emotions of people who finally receive answers to lifelong questions. THE DROP BOX, directed by Brian Ivie… When Pastor Lee became the father of a boy with severe special needs, he wondered why God had chosen to give him this child, but quickly changed his heart and accepted his son as a gift. Pastor Lee, inspired by his son, saw that within his Korean neighborhood, infants were being left alone and untended, and he came to believe that children with special needs were perhaps more likely to be treated in this way. 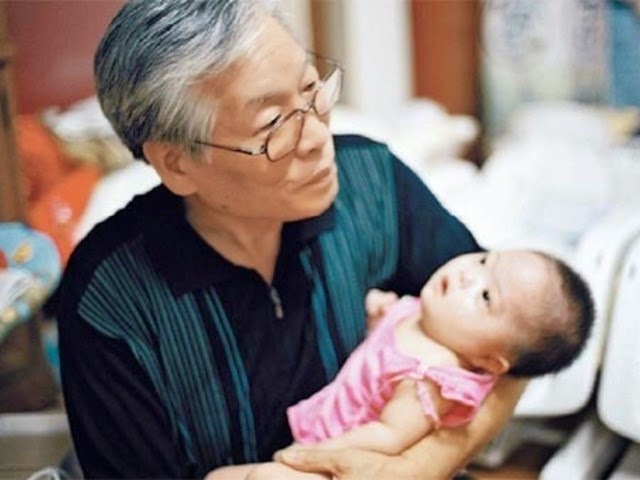 In an attempt to increase these infants’ chances of survival, Lee constructs a system where these infants can be transitioned into care instead of being abandoned. The Drop Box shows that, when provided with positive care, these kids can thrive. We have two winners in this category! And the winners for Best Documentary, as voted by the readers of Adoption at the Movies, are The Drop Box, directed by Brian Ivie, and You Have His Eyes, directed by Christopher Thomas Wilson. Last year’s winner for Best Animated Film, Big Hero 6, journeyed with young Hiro Hamada as he built a life for himself even after losing his parents and brothers. Big Hero 6 showed that animated films can be simultaneously light hearted and serious, and can explore difficult real-life issues in approachable ways. This year’s nominees include a brave young dinosaur who tries to rejoin his family but finds family along the way, the culturally-proud extended families of a cross-cultural couple figuring out how to identify the first baby of that couple, and a journey into the mind of an eleven-year-old girl. This was a good year for family-friendly animated films, and now we honor the best. 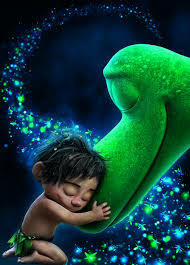 THE GOOD DINOSAUR, directed by Peter Sohn… Arlo’s father has died, and Arlo the dinosaur is separated from his family. He journeys back to them, and along the way befriends a young human in a similar situation. As they journey, they find other families, become a family of sorts, and finally find families to call their own. 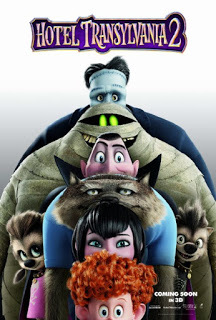 HOTEL TRANSYLVANIA 2, directed by Genndy Tartakovsky… The unlikely couple of Mavis, a vampire, and Johnny, a goofy human, have married and are now expecting a baby. They live together with Mavis’ family in the hotel run by her father, Dracula. Dracula is excited about the thought of a new vampire being born into the family. 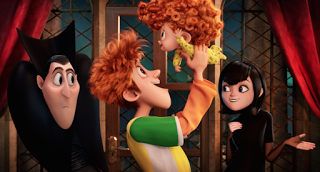 Mavis cautions her father that, since Johnny is a human, their baby might not be a vampire. When Dennis is born, Dracula is upset that he does not show immediate signs of being a vampire, and is terrified that his own father, the human-hating Vlad, will be dangerously angered. As Dennis continues to grow into toddlerhood, he still seems decidedly non-vampire. Dracula begins to feel tense as Dennis approaches his fifth birthday, because that’s the latest he might be revealed as a vampire. 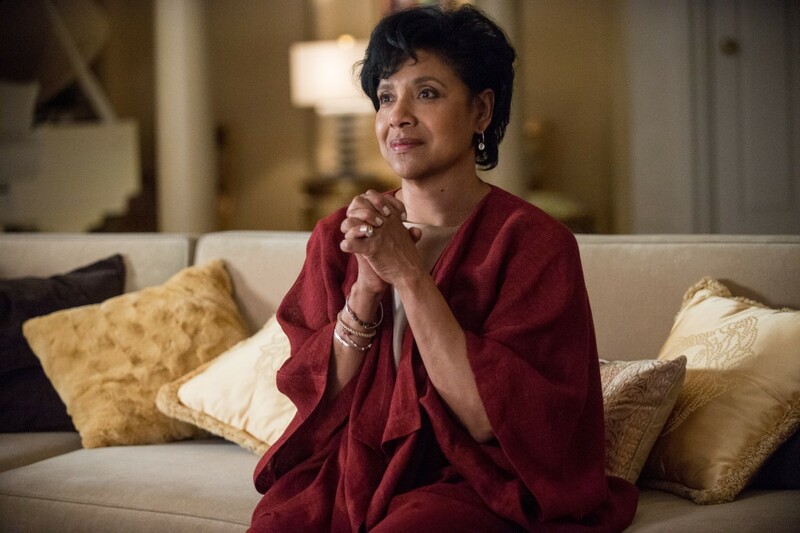 Mavis and Johnny have a strong relationship in spite of the family drama, and eventually each of their families comes to love Dennis for what he is. 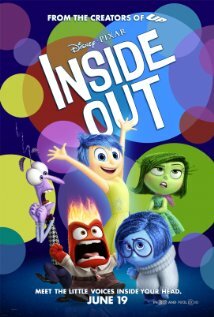 INSIDE OUT, directed by Pete Docter and Ronnie del Carmen… Eleven-year-old Riley is saddened when her family moves from Minnesota to San Francisco. We’re given a special, inside look into her mind and we see the interplay of Joy, Sadness, Fear, Anger, and Disgust. Riley’s parents, though imperfect and under stress, are dependable, understanding, and loving. This is a delightful, colorful journey through a child’s mind, dreams, and memories. WHEN MARNIE WAS THERE, directed by Hiromasa Yonebayashi… When 12-year-old foster child Anna Sasaki collapses at school from an asthma attack, her long-time foster mother sends her away from the big city of Sapporo to Kushiro, a rural area where the foster mother’s family lives. 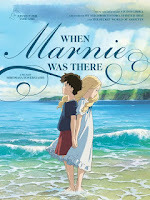 Although she has been sent to Kushiro to recover her physical health, Anna finds answers that have been plaguing her peace of mind, and she also meets Marnie, a friend with a very mysterious past. Anna has been living with Yuriko and her husband for seven years. Anna has learned that Yuriko receives money from the government for serving as a foster parent – however, Yuriko does not know that Anna knows. Anna is torn apart inside by this knowledge, wondering whether Yuriko could actually love her, since she’s getting paid. 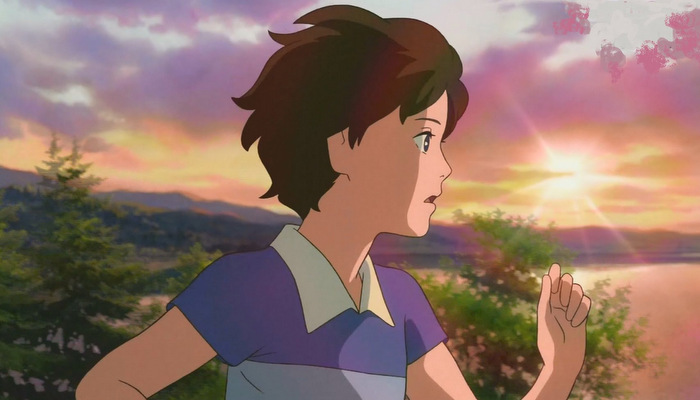 At one point, when Anna is sick, she apologizes to Yuriko for “costing you money again.” When in Kushiro, Anna is convinced by her foster aunt and uncle of Yuriko’s love for her, and by the end of the story, Anna and Yuriko talk candidly about their situation; Yoriko affirms her love for Anna, and Anna is able to gladly accept Yuriko as her mother. And the winner for Best Animated Film, as voted by the readers of Adoption at the Movies, is Inside Out, directed by Pete Docter and Ronnie del Carmen! It’s time to announce the film that you’ve selected as the Adoption at the Movies film of the year. Each of the nominees are mainstream films that were also nominated in other categories in this year’s Adoption at the Movies Awards. Each film, while entertaining and geared towards a mainstream audience, also brought something particularly appreciated by foster and adoptive families. And the winner for Adoption at the Movies Picture of the Year, as voted on by hundreds of readers, is Inside Out, directed by Pete Docter and Ronnie del Carmen! A deep and genuine congratulations to all of the winners, and thanks to all of the nominees for making positive and uplifting entertainment. Thanks also to all of the readers of Adoption at the Movies who voted! We’ll be back next year in February with the Fourth Annual Adoption at the Movies Awards, until then, check out our store, and browse our extensive list of free movie discussion guides and reviews for foster and adoptive families. Thanks for being part of Adoption at the Movies!